Gyles Brandreth is a writer, broadcaster, former MP and Lord Commissioner of the Treasury, and now Chancellor of the University of Chester. A veteran of QI and Have I Got News For You, a reporter on The One Show and a regular on Just a Minute, his latest bestseller is all about the importance of punctuation and good English – Have You Eaten Grandma? A former Oxford Scholar and President of the Oxford Union, Gyles Brandreth’s career has ranged from being a whip and Lord Commissioner of the Treasury in John Major’s government to starring in his own award-winning musical revue in London’s West End. Known for the colourful jumpers he wore on countless game shows and on TV-am in the 1970’s and 1980’s, Brandreth became the MP for the City of Chester in 1992. As a performer, Gyles Brandreth has performed on stage in London’s West End and throughout the country and is a regular performer at the annual Edinburgh Fringe Festival. He appears regularly on BBC Radio 4 in assorted comedy and current affairs programmes, including Just a Minute, Whispers, The Westminster Hour and Broadcasting House. 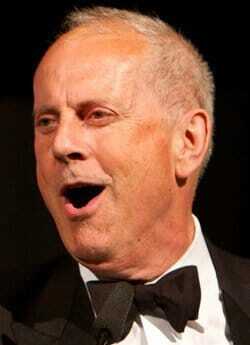 Gyles is also a regular contributor to The One Show. In 2003, Gyles was the subject of the BBC’s This Is Your Life. A prolific author and columnist for the Sunday and Daily Telegraph, Gyles Brandreth has completed two best-selling royal biographies: Philip & Elizabeth, Portrait of a Marriage and Charles & Camilla, Portrait of a Love Affair. In 2006, his biography of The Queen and the Duke of Edinburgh was made into a TV documentary series to mark the Queen’s 80th birthday and his acclaimed political diaries, Breaking the Code, are being turned into a stage play. As an after-dinner speaker, Gyles Brandreth has performed in venues as varied as the Helmsley Palace, New York and Buckingham Palace, London. His audiences have ranged from 3,000 members of Townswomen’s Guild to the President of the European Central Bank. Brandreth is one of Britain’s busiest after-dinner speakers and award ceremony hosts. He has won awards himself, and been nominated for awards, as a public speaker, novelist, children’s writer, broadcaster (Sony), political diarist (Channel Four), journalist (British Press Awards), theatre producer (Olivier), and businessman (British Tourist Authority Come to Britain Trophy). They say all political careers end in tears, in Brandreth’s case its tears of laughter. An actor, author, broadcaster, One Show reporter, former MP and Government whip turned professional raconteur makes Gyles Brandreth one of the UK’s most in demand after dinner speakers and awards hosts. Breaking the Code: How Government REALLY works. Gyles Brandreth has been a Government Whip, a Lord Commissioner of the Treasury and speech-writer to three prime ministers – Margaret Thatcher, John Major and David Cameron. According to Lord Danny Finkelstein in The Times, “Breaking the Code is how politics genuinely is – messy, tragi-comic (more often comic than tragic), stumbling about trying to do one’s best.” In this keynote address, especially relevant in an election year, Brandreth cracks the code and reveals how Westminster and Whitehall really think and work. With psychiatrist Dr Anthony Clare, Gyles Brandreth has identified the seven secrets of happiness – and they work, which may explain why Brandreth’s book on the subject has been a Number One best-seller and is now being published around the world, from the US to Russia, China and Korea. In his keynote speech on the subject, Brandreth shows how the seven secrets can transform the way you work and the way your business performs. “Gyles Brandreth has access to the secrets of the human heart.” The Times. The 6 Essentials of Success. In search of the essential ingredients of success in public life, Gyles Brandreth has interviewed everyone from Richard Branson to Sheikh Mohammed of Dubai and what he has discovered in the process – from princes, presidents and prime ministers, from major movie stars and spiritual leaders such as Archbishop Desmond Tutu, from military leaders and Usain Bolt – is at the heart of the keynote address in which he outlines the six essential ingredients of total success.